✅ Trip Verified | Incredibly rude airport security staff. The staff at the security scanner lost her patience at me when I simply and politely asked if she spoke English. She then snapped at me asking if I had an iPad etc, I responded no and she forcefully shoved my luggage through the scanner. Such unprofessional behaviour. I can't believe someone with such poor patience, a very poor attitude, and and with complete disregard for others belongings has managed to maintain a job in customer service. I'm sure not all Czech people are as horrible as her, but she did leave a lasting impression. 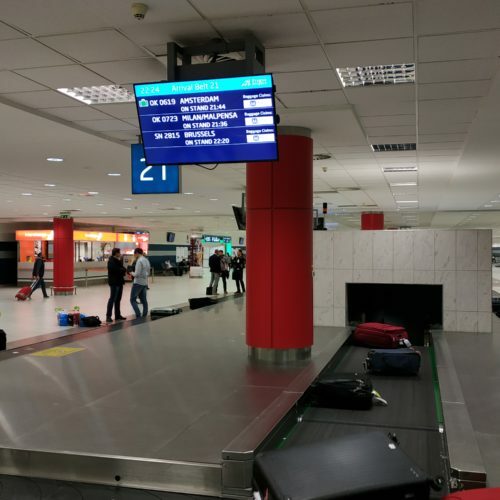 "very clean with many shops"
✅ Trip Verified | Very modern airport in the middle of central Europe, very clean with many shops. Fast and effective security check. Free airport Wi-Fi, very clean toilets and others public areas. I can recommend restaurant Prague, very cheap food around £ 3.00 located on the first floor of Terminal 1. "a minimum of 30 minutes"
Not Verified | Do not be in any rush to go through security. They pull your hand bag, my wife had cosmetics. You are there for a minimum of 30 minutes so be ready. The best was the agent was looking at the makeup, he finished looking and just walked away – bag at the agents side, did not say one word, just walked out. After 10 minutes I finally asked where did he go, you can take your bag. Too bad it would be stupid to say anything. 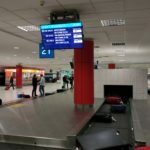 "Very easy to use airport"
✅ Trip Verified | Very easy to use airport with two terminals - one for flights to Shengen countries, the other for non-Shengen countries. I flew in and out of European locations. Arrival was hassle free with bags on tarmac to pick up and walk into terminal. Inside are tourist offices and car rentals. I was directed to a booth which sold tickets on public transportation to the City. The clerk was helpful showing me my destination on a map and selling the ticket - accepted my credit card. Frequent buses from outside the terminal connects with the terminus stop on a subway line that goes through the heart of Prague. In less than 30 minutes I was at my destination. The subway station does not have escalators. Buses and trains have good signage. The trip was also very inexpensive - the equivalent of less than USD 1.50. Ditto for return. Subways are clean and fast. Buses are large and modern with frequent announcements about upcoming stops. Departure gates required quite a bit of walking. Noticed an absence of moving sidewalks. A few shops and cafes in the departure area. Lot of seating and clean bathrooms. Security checks unobtrusive and quick. 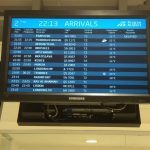 Overall, an uncrowded easy to use airport. 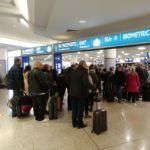 "a long and unnecessary queue"
✅ Trip Verified | I would just wish to avoid this airport, if it is only possible. Arriving from Moscow on December 12th at about 9 pm, i.e. outside peak time. As usual, end up queuing at passport control. Despite the fact that there are some 9 counters for biometric passport control, only 5 of those were operational. It created a long and unnecessary queue (see the photo). I am traveling to Prague frequently and observing this situation again and again. In fact, I have never seen all those gates working. Wondering, why the airport is implementing the modern biometric technology if not using the potential the potential of it. System has been paid from Norwegian grant and one would wish the Norway government or Norwegian passenger to check the benefit of their grant. Prague is a nice airport with nice facilities if not mismanaged. Not Verified | This airport was nice. We flew to Zakynthos (Greek Island) nice groceries, 5 Stars out of 5 Kentucky Fried Chicken. Nice service, entertainment, and good airport staff. "The situation is not improving"
✅ Trip Verified | Arriving in Prague on October 18th by OK619 from Amsterdam. 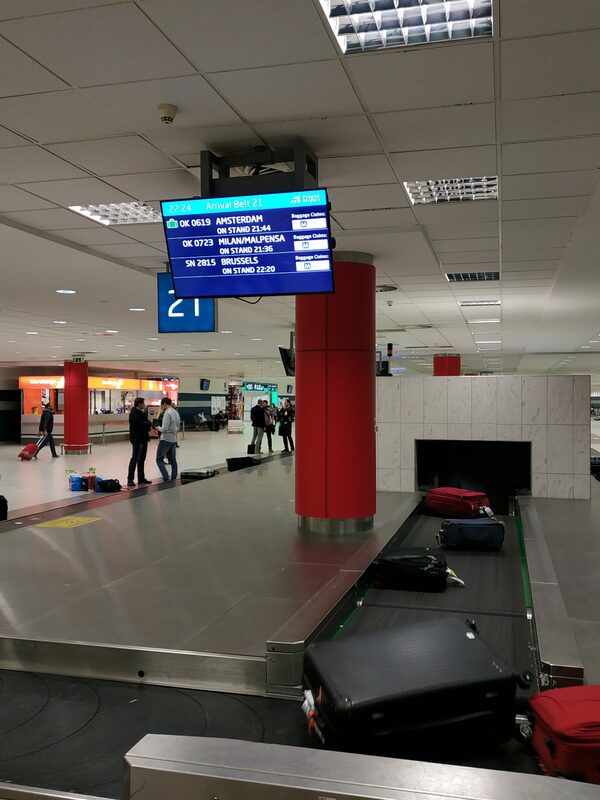 The first piece of luggage appeared on the carousel at 22:24, i.e. as late as 40 min. after the plane get to the stand. I got my luggage 50 min. after our arrival and it was not the last piece of luggage. 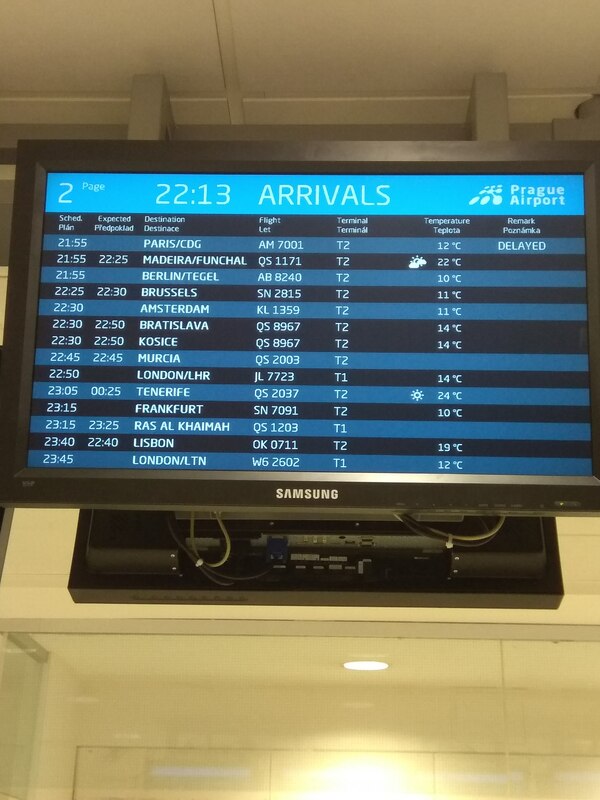 Unfortunately this seems to be a typical picture of the (under) performance of Prague Airport. It is obvious, 10pm is also not exactly a peak time. Long waiting times just everywhere and anytime at Prague Airport is unfortunately more the rule than the exception. The situation is not improving. One is wondering whether airport management is even interested in customer experience. "Would think twice about using"
Not Verified | Very poor experience at this airport after a pleasant stay in the city. Had a flight at 21:50 so amazed to find that there was only one restaurant open in departures at 20.00 and they had practically run out of food. Waitress was basically rude and said there were pastrami and cheese paninis or go without - and by the way we close in 20 minutes. This was when the place was packed with people waiting for EasyJet flights to Manchester and Bristol. Paninis were pretty horrible and cost £5 each, small bottle of water £3 -same as a 1/2 litre of local beer. At the appointed time everybody was asked to leave. Then we experienced the chaotic queuing to go through security where people queued in one line for two gates where the flights departed twenty minutes apart. Inevitably everyone got mixed up. Only good thing was security was swift. Would think twice about using Prague in future. Not Verified | No smoking rooms. Is it really so difficult to provide smoking rooms? Most other European airports do. 0 out of 10 because of this. 149 czk for a beer is ridiculous, I live in czech, it should be no more than 30 czk. On top of that the staff like to tell you how much to tip and get angry if they believe it isn't enough. This has to be one of the worst airports in the world and to put that into perspective I spend 50% of my life travelling around the world. Avoid this airport at all costs. Unfortunately I have no choice but to use it on a regular basis. ✅ Trip Verified | Absolutely horrible experience with Prague security. Incredibly rude. One of my friends was pulled aside, and two of her makeup foundations were thrown away (50 dollars each) with no explanation. When we asked to check that bag to avoid the makeup being thrown away, they said no.